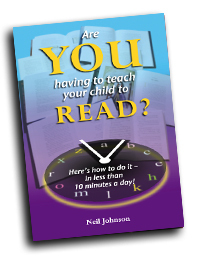 Is your child having difficulties in learning to read at school? Here’s how to do it – in less than 10 minutes a day! This easy, step-by-step approach takes all the worry and stress out of helping your child to read. The method is clear and concise allowing both parent and child to learn at an easy pace without becoming bored!